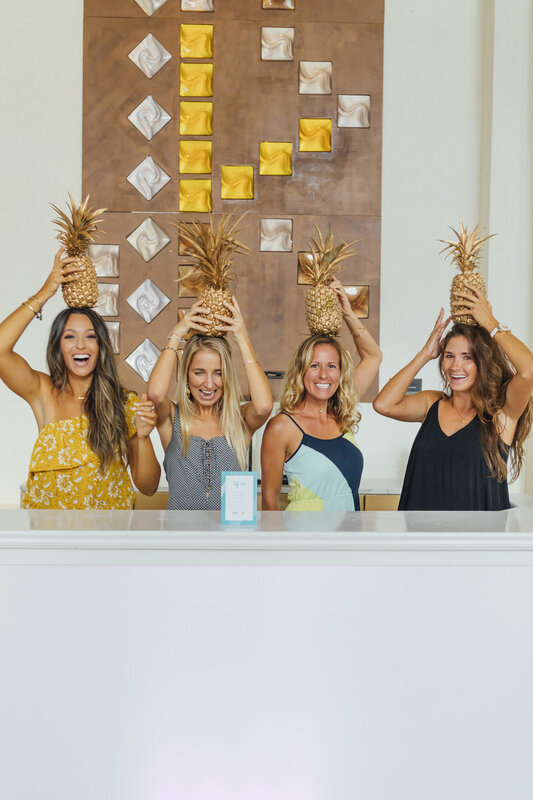 This past weekend, we gathered 150 female entrepreneurs and creatives in Maui at the Wailea Marriott Beach Resort to talk business, brand building and bold moves. Our Keynote Speaker, Leura Fine, CEO of the fastest growing interior design disrupter start up, Laurel & Wolf, left our audience feeling enlightened, entertained and inspired with her candid conversation with our founder Jaclyn Johnson on life as a CEO, the ups and downs of building a business and how to be a better boss. Below, we put together our 5 key takeaways from the conversation of which you can view in full here. 1. The title 'CEO' means many different things along the way. Leura explained that when she was CEO of 3 people vs. 10 people her role changed, from 10 to 25 another change and another change and so on and so forth. The point is, your role as CEO should change over time as you hire people. The role should expand from a more tactical day to day role to more strategic. You have to get to a point where you are trusting the people you hire and then the people they hire in order to scale effectively. 2. You are not firing fast enough. Firing, something no one likes to talk about, but is so crucial to growing your business effectively. Leura explained it's not only important to hire quickly but fire quickly as soon as you know someone is not a fit either culturally or with the work. Keeping an employee for too long that isn't a fit can be just as detrimental as not having anyone in the position at all. 3. Keep your board small. Leura explained that many tech companies and start ups start putting together really big boards and start handing out equity right at the beginning. Leura says, for her, building out a small but highly strategic board is much better than having multiple voices in your head and in the room. Think long and hard about strategic partners, investors and money and make sure they also bring something to table besides just cold hard cash and opinions. 4. Communicate differently to different people. As a founder, Leura says, you have to say things differently to different people. She explains, communicating with her development team vs. her marketing team can require different types of conversations and ways of communicating. Once your company gets to a certain size the communication structure can easily breakdown, even people who sit right next to each other might not be communicating effectively. Leura says they put into place strategic meetings and events to ensure everyone is on the same page and work is getting down as effectively as possible. Leura says she is "the lowest paid person on her executive team" and that's okay. She talked about how she didn't pay herself at the beginning of the company and then eventually took a salary that basically just covered her costs of living. She stressed how important it is to hire super capable people especially in senior level positions and that often comes with a hefty price tag or the allure of equity within a company that is growing. For her, the big pay off will be her equity stake in the company not necessarily her salary and as a CEO this is a common strategy. Survey Shows That Women Still Feel Men are Intimidated by their Success.